Your tracker contains the standards you selected when you created the tracker. 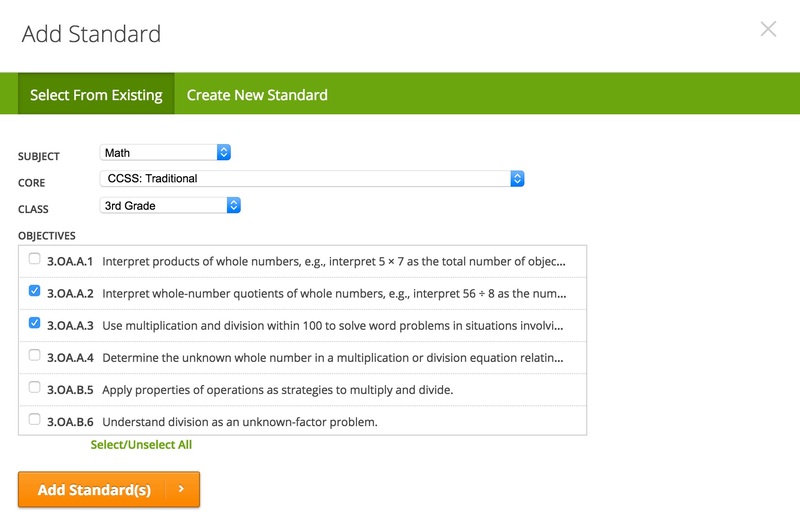 You can add additional standards from other grades or sets of standards as needed. First, open the tracker that you want to add the standard or sub-standard to. Next, hover over the orange menu button, and click on Add Standard. 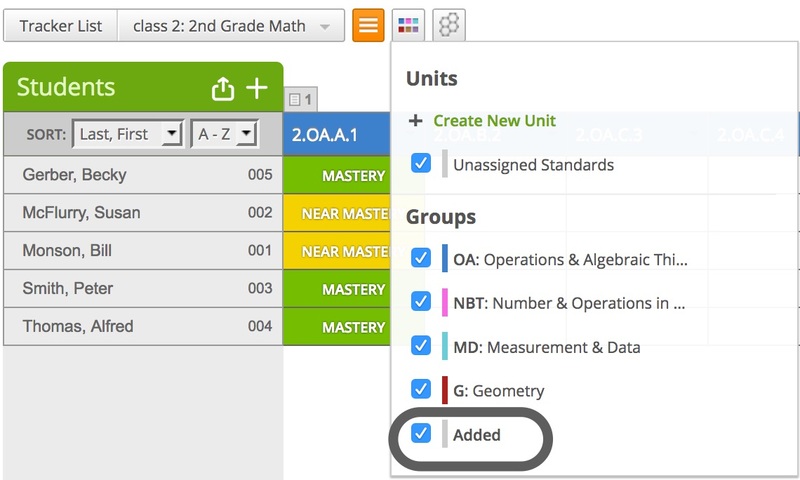 Select the Subject, Core, Class, and standards you want to add to your tracker, then click on Add Standard(s). The new standards will be added at the end of your tracker. Drag and drop the standard title to rearrange the order in your tracker. If you don't see the standards you added, hover over the multi-colored button above your tracker and make sure that the Added check box is selected.